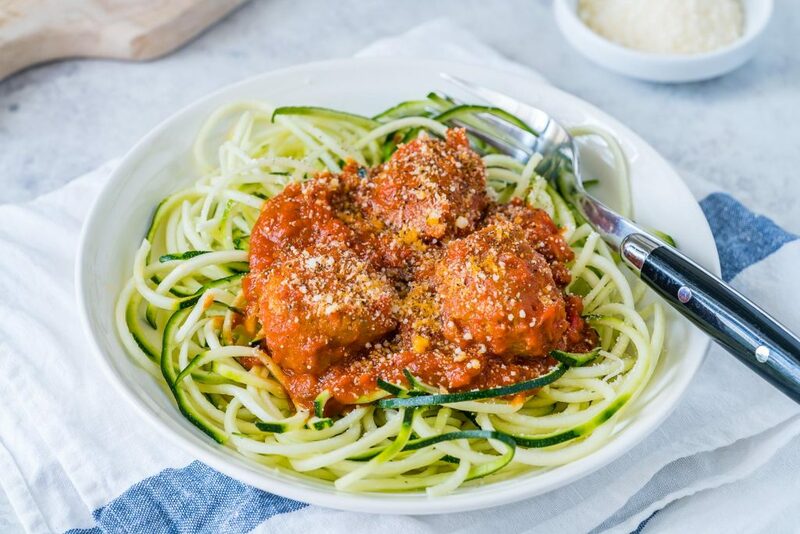 These Turkey Meatballs + Slurpy Zucchini Noodles are Quick and Delicious! In a large bowl combine well: ground turkey, onion, oregano, basil and garlic powder. 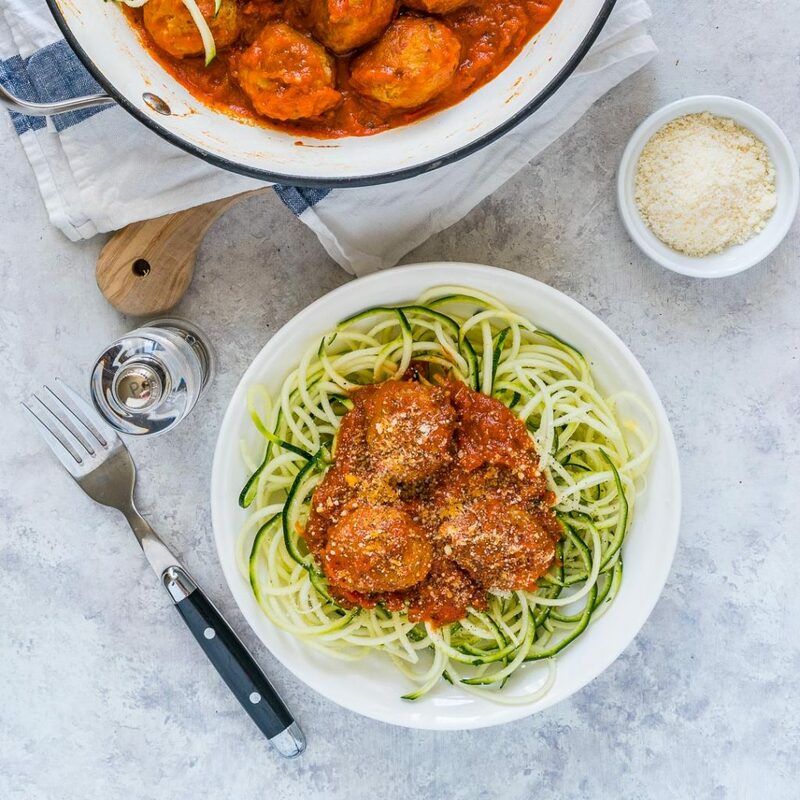 Season with sea salt and pepper, then roll into Tablespoon sized meatballs (makes approximately 16-18 balls). In a large non-stick frying pan, heat the oil over medium-high heat. 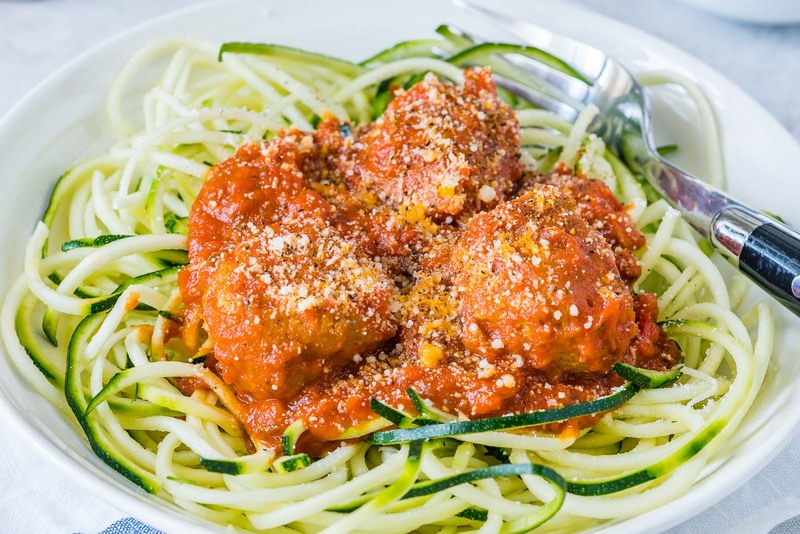 Cook the meatballs for 6 to 7 minutes, browning on all sides. Add the pasta sauce and simmer for 2 to 3 minutes, or until slightly reduced and heated through. 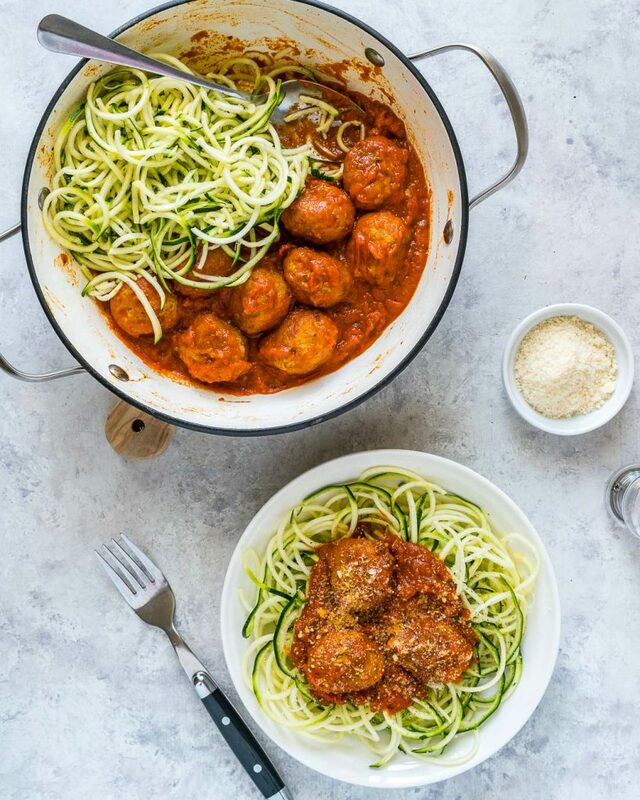 Add the zoodles, and gently toss to coat. 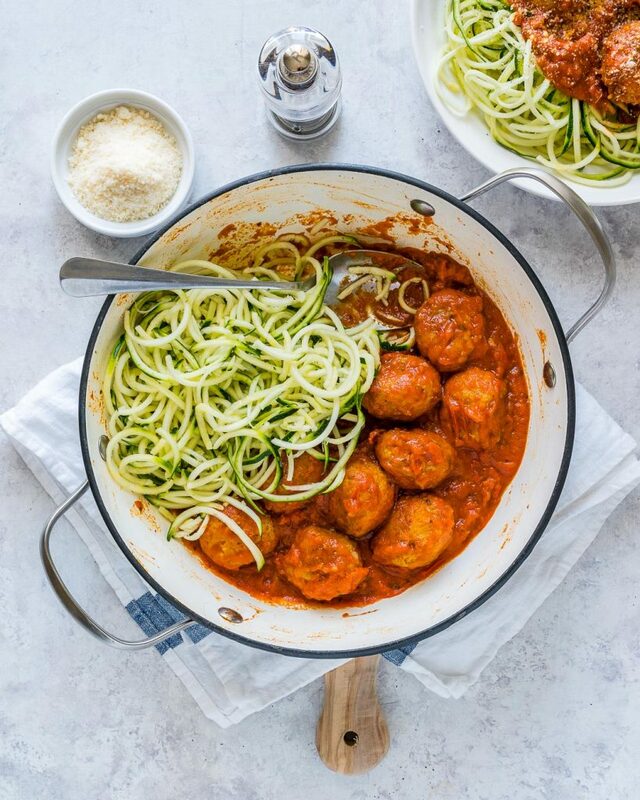 Place meatballs and zoodles into bowls, top with parmesan and serve immediately. Enjoy!